Step 1: For the border: Mark 1/2 inches from all sides of the board (left, right, top, and bottom). You may draw a line to serve as a guide in plotting the dots for the nails. 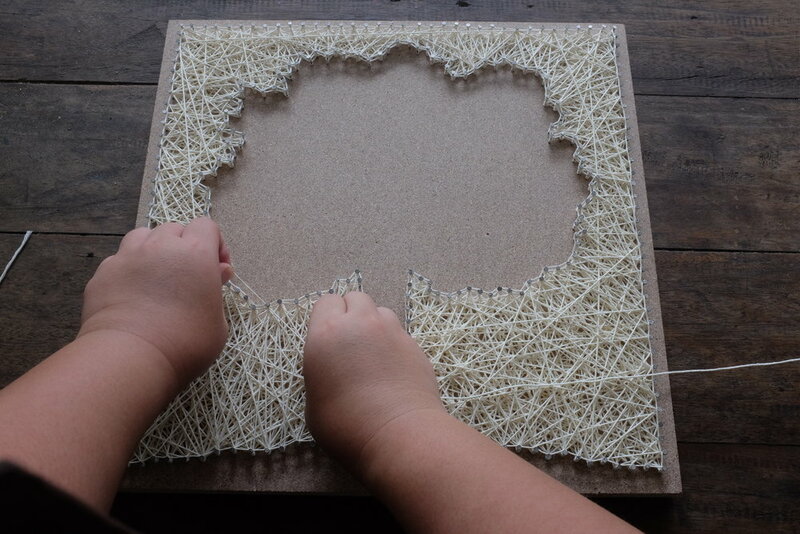 Step 2: For the tree: Find the bottom center of the board, starting from the 1/2 mark of the border. Mark it with a dot. Then start drawing (lightly) the trunk of the tree, followed by the whole drawing. Step 3: Using a pencil and ruler, mark the borders with equally-spaced apart dots to serve as your guide in placing the nails. 1cm apart is ideal. You may mark the tree outline as well. 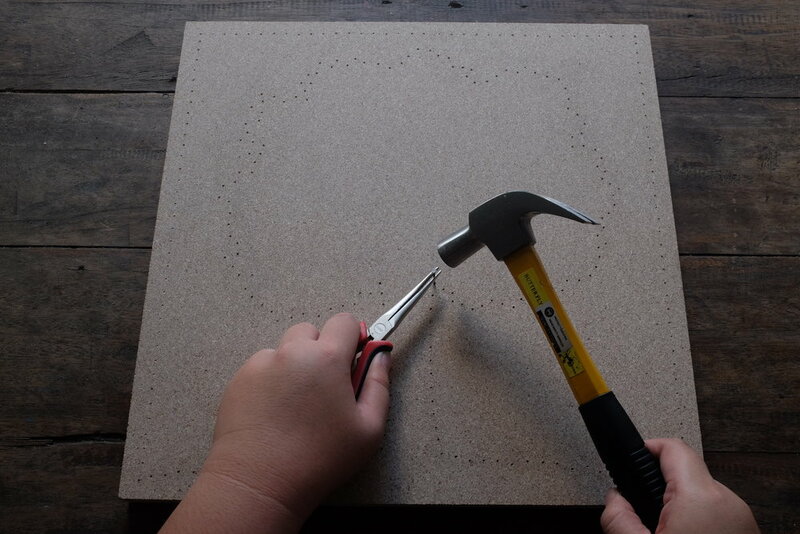 Step 4: Use a pen drill (if available) to help you make small holes on your dotted marks. If a drill is not available, proceed to number 6. 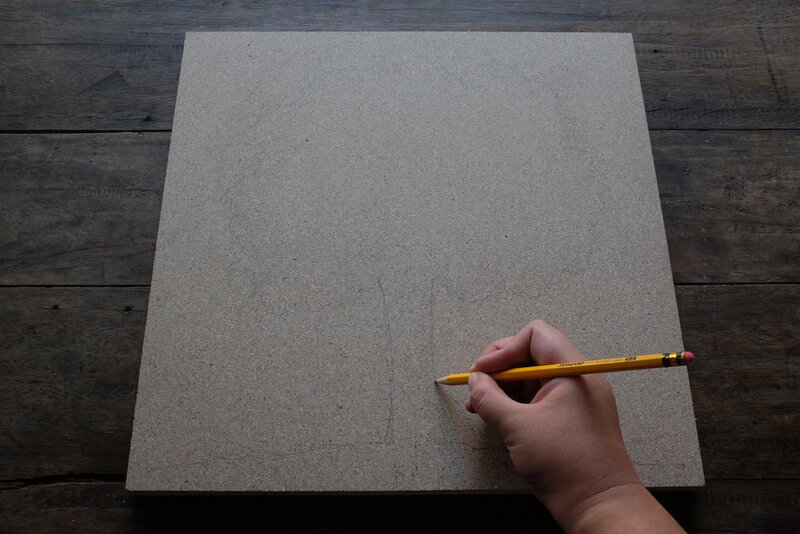 Step 5: (Optional) You may use an eraser to remove pencil marks on the board. Step 6: Start hammering (1/2 or 1/3 of the nail should be buried, adjust depending on wood thickness) the nails on the dots one by one. 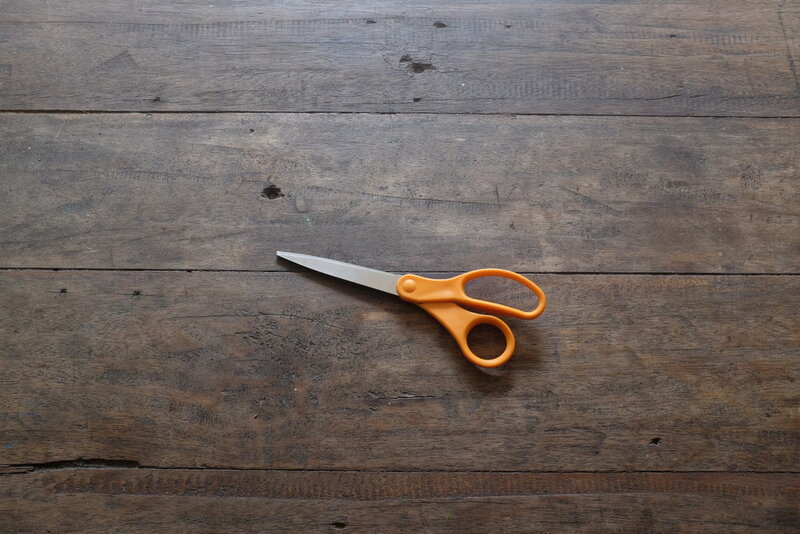 Use a pair of pliers to help you put the nails in place while hammering. Leave enough space on top of the nails for stringing. Step 7: When all nails have been hammered down, start stringing. Get one Natura ball and tie one end to a nail using a square knot. When tying, remember to leave at least an inch in one end as you will be ending your stringing at the same nail. Step 8: Work your way through the nails. Wrap the string tightly around each nail. 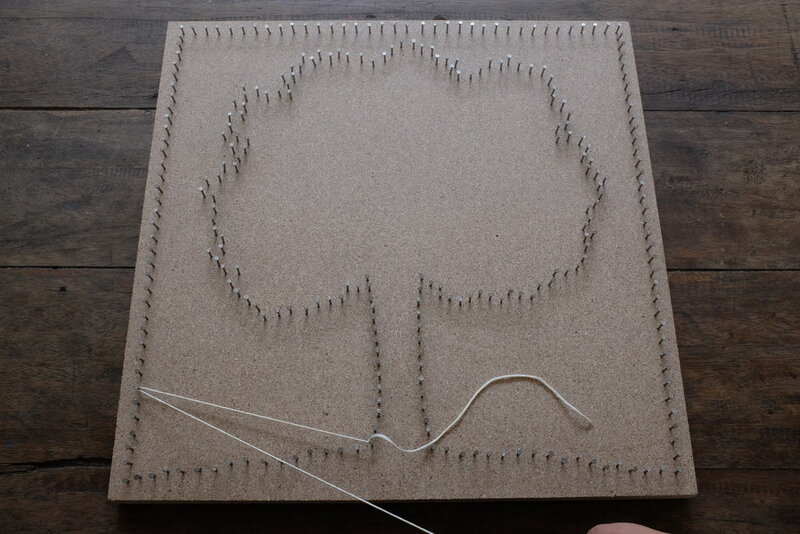 Step 9:Once the string has passed through all the nails twice or more, you can now go back to the first nail and make a square knot twice, together with the remaining end of the thread. If in any case you ran out of thread, you may use another ball of the same color. Just find another nail to tie the first knot. Step 10: Cut the excess thread after. 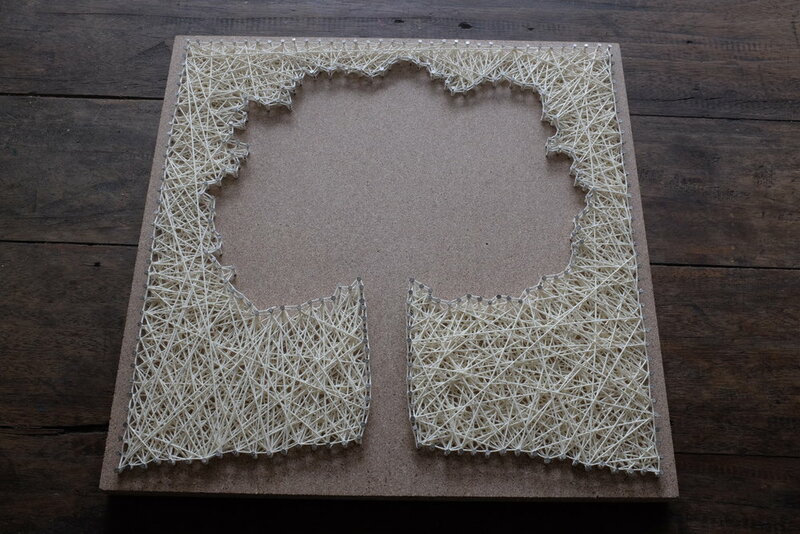 Step 11: Your tree silhouette string art is now complete!